Twice each year, rostered ministers gather together for worship, learning, conversation, and relationship building. Given the abundance of local resource people, a seminary or college professor regularly presents on an important and timely topic. Our fall Ministerium is held jointly with the Saint Paul Area Synod, taking turns acting as hosts. Recent surveys indicate that millennials are less connected to church than any previous generation. Are young adults still interested in church? Does the church offer anything to young adults that they are seeking? 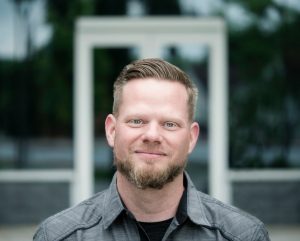 Jeremy Myers and a panel of pastors and young adults who are participating in Augsburg University’s Riverside Innovation Hub will offer deep insights into what young adults are thinking about and hoping for the church of the present and the future. Join us! We will worship together, engage relationships, be challenged, and share a meal. All are welcome. Cost is $5 for Ministerium, $20 for Ministerium and lunch. The Fall 2015 Ministerium was jointly sponsored by Minneapolis Area and Saint Paul Area synods and featured keynote speaker Dr. Jacob J. Erickson, St. Olaf. Several clergy participants asked about the manuscript and Rev. Wells readily agreed to make it available for others. Click here to download the PDF. Rostered ministers of the Saint Paul and Minneapolis Area Synods gathered together on the morning of the 500th Anniversary of the Reformation, Tuesday, October 31. The theme, “Turning 501,” examined how Lutherans respond to the world in which we live in our 501st year. Speakers included Emilie Bouvier (Minneapolis Area Synod), Dr. Corinne Carvalho (St. Thomas University), the Rev. Jen Collins (Hosanna Lutheran, Forest Lake), Joe Davis (Artist [and poet] in residence at Luther Seminary), Dr. Karoline Lewis (Luther Seminary), and the Rev. Peter Rogness (retired bishop of Saint Paul Area Synod). Rev. Dr. Martin Junge, General Secretary of the Lutheran World Federation, presented to the Minneapolis and Saint Paul Area Synod rostered ministers.